Given the recent critiques of New York and its proposed framework for bitcoin businesses, many of the law’s opponents are no doubt hoping the state and its regulators will alter the bill during its now extended comment period. After all, New York’s BitLicense proposal, once approved, could prove influential at shaping wider US bitcoin regulation, a fact recently underscored by New York Department of Financial Services (NYDFS) superintendent Ben Lawsky in an interview with CoinDesk. Of course, while vocal opponents of the bill and its controversial provisions await more guidance, there remains the possibility that another US state will introduce a framework that proves more enticing to the bitcoin industry and its interests. The ability for states to regulate and pass laws is what makes America unique in many ways. So it should not come as a surprise that some US states could see the backlash against New York’s proposal as an opportunity to position their jurisdictions as more accepting of digital currencies and the jobs and investment the industry can attract. In this piece, CoinDesk takes a look at some of the US states that could be poised to pursue such a path. Owing to its former status as a sovereign nation, Texas has a long history of independence, a trait that its lawmakers and citizens alike take pride in. Texas operates its own electrical grid, has no income tax and has introduced a favorable regulatory framework for bitcoin exchanges. As such, it should come as no surprise that the state has produced vocal bitcoin advocates. For example, Steve Stockman, a US Representative for the 36th Congressional District of Texas, has indicated in the past that he favors the bitcoin industry as a way to create jobs in his home state. In line with his beliefs, Stockman will reportedly introduce a bill to change bitcoin’s status from property, as is currently used for IRS reporting, to currency, a distinction long lobbied for by the bitcoin industry. Outside of Stockman’s efforts, however, Texas also has in the past courted technology companies like Amazon seeking to avoid charging sales taxes on customers – an example of favorable treatment for digital businesses. New Mexico is already known as a state where bitcoin businesses can get things done. The state’s Financial Institutions Division does not license or regulate money transmitters, making it a friendly place for digital currency-related ventures. That’s the primary reason why the first bitcoin ATM in the US was launched there, as its operator was easily able to comply with state laws. Despite the lax regulatory environment in New Mexico, the state’s Regulation and Licensing Department did put out an alert regarding the risks of virtual currencies. Yet, the regulatory body indicated it was “evaluating the developing market for bitcoin and other forms of virtual currency”, according to Alan Wilson, Director of the New Mexico Securities Division. The tiny New England state of New Hampshire takes its state rights seriously, a fact evidenced by its not-so-subtle state motto – “Live Free or Die”. This has led to growing support for the state’s bitcoin movement. Andrew Hemingway, a Republican candidate for governor has notably embraced bitcoin as part of a libertarian-leaning campaign stance, parlaying his policies to gain new followers in the process. He says that the weekly New Hampshire bitcoin meetup regularly attracts 50-60 people every session – folks who believe that cryptocurrencies are aligned with libertarian ideals. As far as bitcoin is concerned, California is the capital of digital currency in the US. It’s no wonder, then, that the state is attempting to build the right framework – in a cautious way – to help influence innovation, a hallmark of the state. There’s a lot at stake – California leads the way in bitcoin-related jobs, housing a majority of the industry’s engineering and technology-driven talent. David Kaufman, a consultant with Capital Advisors who helped to usher in California’s HN 8129 bill acknowledging virtual currency as legal money within the state, told CoinDesk that it is expected the state legislature will adopt “friendly regulations down the road”. That’s a major reversal from just a year ago, when California sent the Bitcoin Foundation a cease-and-desist letter for violating various financial codes. As the first state to legalize marijuana, Colorado’s interest in adopting virtual currencies is twofold. For one, the state has seen an uptick in its government coffers as a result of being the first to adopt a regulated and taxed marijuana economy. Additionally, the state’s economy has struggled to get along with the traditional banking sector – it seems accounts could be closed for no reason, at any time. If there’s one thing that distributed money like bitcoin can accomplish, it is a better transport and transaction mechanism over cash – something marijuana dispensaries which cannot get bank accounts must conduct all their business in. Alternative currency efforts such as Potcoin have been developed specifically for the used of marijuana ventures. Innovations such as vending machines accepting bitcoin for marijuana are also novel ideas that can reduce overhead as well as thwart potential security concerns with human handling of both pot and cash at the same time. Of course, major bitcoin payment processors have stated that they will not do business with companies that violate federal law, meaning should Colorado move to embrace bitcoin, this industry may still face problems promoting wider digital currency adoption. What states do you expect to promote relaxed bitcoin regulations? Weigh in below. Satoshi Citadel Industries describes itself as a “provider of bitcoin solutions” and manages a range of different digital currency services and sites, including Bitmarket, in-beta exchange Coinage, photo-sharing site Bitstars.ph, and remittance service ReBit. SCI is also rolling out pre-loaded bitcoin cards as another speedy way to get bitcoin into newcomers’ wallets. A new Japan-based wallet service called ‘Ninki’ aims to be a social network for payments, where users build trusted groups who may need to transact on a regular basis or for a common cause. Local charity events, crowdfunding campaigns, small- to medium-sized businesses and international freelancers are among the most likely kinds of user groups, said the company’s lead developer, Benjamin Smith. Users can form groups and share details as easily as they can on popular social networks. Smith told CoinDesk the aim is to streamline bitcoin payments between transacting parties. What makes Ninki stand out from other bitcoin wallets is its Contacts list, where users can categorize their contacts depending on their transaction needs. Ninki, which means ‘popular’ in Japanese, has undergone extensive alpha testing over the past few months and opened in beta to the public last week. Registering a new account with Ninki generates quite a few keys and codes, so get ready to take secure notes. The software generates a public user name and a 15-word public phrase. These are for others to identify you within the network and so you can perform a secure out-of-bound validation of the user. At the user dashboard level Ninki’s interface is in plain language and straightforward, with all the encryption and security handled seamlessly in the background. You can search for other users by username and avatar, adding and approving them as desired. For one-off payments, you can also send to a standard bitcoin address. To start building a trust network, simply share your 15-word public phrase with another user. Upon accepting, the other party will also share its phrase. In the background, Ninki performs an exchange of public PGP (pretty good privacy) keys between the two users. The user dashboard is simple and supplies all information regarding balances, contacts, groups and pending payments. Users can easily send, receive and pay invoices from a Ninki wallet, individually or all at once. Each invoice is marked with a date and order ID number. Users may also reject invoices and check the status and details of payments on the blockchain. A PGP-encrypted messaging feature keeps communications between users private. Smith said security and privacy are priorities at Ninki, especially given the levels of public mistrust in the security and privacy levels of ‘everyday’ social networks. Users can only see lists of members in networks they create themselves. And while it is possible to add an entire group to a trust network, the user will only see the name of the group itself and not its members. In addition, users can set payment limits by day, per transaction or by number of transactions per day to prevent losses through error. Unlike other social networks, however, Ninki aims to protect users’ private information rather than release or sell it to marketers. Ninki is not just a wallet service. It is designed to be as secure as possible, with hierarchical deterministic (HD) wallets as specified in the Bitcoin Improvement Protocol 32 (BIP32). This means that a number of wallets can be generated from one ‘master key pair’ (MKP). Any number of ‘child’ wallets can be created from the MKP and used independently, but the owner of the master key retains control over all of them. Public keys generated on assigned nodes by the public part of the MKP can be shared between members of Ninki. The users exchange Ninki phrases and verify them using an outside method of communication, like email, instant message or a face-to-face exchange. Ninki’s wallets are also integrated with multi-signature technology, two of three possible keys are required for any party to access the funds. Addresses are generated from the master keys for each transaction and never re-used. Ninki holds one key; the user another. A third key is provided for users to keep in a safe place or with a trusted third party. This means funds may still be recovered even if Ninki were to disappear. The greater the number and variety of external checkers, he concluded, the more certainty the security model will be tight. In bitcoin’s early days, there were not many options for storing coins: users had to download the Bitcoin-QT client to keep the cryptocurrency. That way, the platform storing the wallet provided as much security as the user required, with the option of keeping the client offline and encrypted – away from prying eyes searching for private keys. In the past few years, though, bitcoin has moved off the PC desktop onto web services and mobile wallets. And many of these hosted wallets, as they are called, are managed by a third party. Users relying on hosted wallets are, in essence, depending on third-party trust to safeguard their coins. However, hosted wallets are not created equal. So users must ask the question: can I trust a particular provider to properly store my bitcoin? One of the reasons there is a healthy dose of skepticism in the bitcoin community towards hosted wallets is because of past breakdowns in trust from some providers. Mt. Gox is an obvious case in point, where its slow decline eventually meant users could not withdraw bitcoin from their wallets, followed by the exchange’s total collapse in February 2014 and the loss of those trapped funds. In another example, last year, wallet service Inputs.io suffered an attack where hackers stole $1.2m from users. However, he believes that cases like Mt. Gox provide good reason for users to take care when placing trust in hosted wallets. The good news is that there are companies pushing bitcoin wallet technologies to the next level, fostering a rethink about what a wallet really is. “With multi-signature, the wallet keys can be distributed across multiple institutions so you don’t have one single point of failure,” said O’Brien. BitGo, in particular, recently raised $12m from investors to develop multi-signature technology for wallets. This improves both key control and security – something that bitcoin users in the future might demand from hosted wallet providers. The business model for BitGo is to focus on providing enhanced wallet security and provisioning options, selling that technology as a product to other companies looking for powerful and secure wallets. Today, there’s an array of wallet options to choose from. The Bitcoin.org website, for example, offers recommendations for different platforms. People are no longer tied to the original QT desktop client by any measure. While that is liberating and enabling, though, it also brings important decisions that a user must make. One thing people should consider when choosing a wallet is whether or not they want control of their bitcoin address’s private keys. This decision could also depend on what specific use the wallet is destined for: is it for regular spending, or primarily for saving? “We use a system similar to Coinbase: small hosted wallet, large cold wallet – Purse is considered a ‘fast’ spending wallet,” said Purse.io co-founder Liu. His startup allows people to purchase bitcoin through Amazon buyers, and simultaneously allows its users to spend BTC on the e-commerce giant at a discount. Liu added that an online, or ‘hot’, wallet is ideal for situations where transactions are constantly moving around. Many companies use this internally to ensure enough freely available bitcoin for quick transactions, while keeping the majority of their funds stored in a safer ‘cold’, or offline, wallet. Cold wallets could be considered similar to a traditional bank’s fiat savings account, while hot wallets are the checking (or current) account. Going forward, control of the private keys might be most important users’ wallet security – no matter if it is hosted or not. “Every user can protect their coins using public key cryptography and initiate transactions by signing with private keys only they control,” say Johann Barbie, a co-founder of SMS-based wallet provider 37Coins. That sounds like an ideal wallet situation, one many experienced bitcoin users might appreciate. Problem is, most new bitcoiners are not fully up to speed on bitcoin wallet technology. In those cases, users won’t care if they don’t have control over their keys, or if transactions are being done on- or off-block chain, which is in and of itself a contentious subject for some. Blockchain is one company that does not store private keys – and now has over 2 million wallet users. Jaron Lukasiewicz, CEO of New York-based bitcoin exchange Coinsetter, says that his company has built in-house wallet tech for cold storage and manual withdrawal reviews, among other security measures. He believes in the importance of users finding the wallet solution that best suits them. Consumer-facing solutions might just be good enough to get started, for example. But those trying to protect larger amounts of bitcoin need to do their research, or at least find someone to investigate the right option for them. “Every wallet provider is different, and the best way to understand which is suitable for one’s needs is to read documentation released by the provider and to understand the technology behind it,” Lukasiewicz said. “The most dangerous global sorority of beautiful pin-up girls that has ever existed” is now accepting bitcoin for its membership subscriptions. SuicideGirls is a popular adult-themed online community that bills itself as a celebration of alternative lifestyles and female empowerment. Some 2,624 SuicideGirls provide photos, video and blog posts to the website. Further, the larger SuicideGirls brand has expanded from photography and video to include comic books, magazines and books since its launch in 2001. SuicideGirls first broke the news it would accept bitcoin on Reddit in a post detailing its excitement about adding the payment option. The post played off positive remarks issued by the group’s co-founder Missy Suicide in the company’s formal press announcement, a sentiment she echoed in an interview with CoinDesk. Missy indicated that accepting bitcoin for its memberships is just the first step in what could be a larger move by the brand to accept digital currency. Missy said SuicideGirls is working to next accept bitcoin at its online store, and it hopes to take bitcoin for ticket sales at its live burlesque tour this fall. Memberships cost the bitcoin equivalent of $48 for one year, $75 for two years and $200 for five years, and provide access to exclusive photos, videos, online groups and community events. The company accepts bitcoin payments through merchant processing provider BitPay. Missy said SuicideGirls has long been interested in developments in the bitcoin space, and that she personally learned about the technology through her personal relationship with noted bitcoin investor and Bitcoin Foundation board member Brock Pierce. Missy said she worked with Pierce previously and was encouraged to learn more about the technology due to his own enthusiasm for digital currency. However, she suggested that her company’s larger overhaul of its website slowed its ability to add bitcoin payments. Though not an adult entertainment site in the traditional sense, the announcement is the latest that suggests adult-themed online communities and lifestyle groups are becoming some of the first major brands to accept bitcoin. For example, Hustler became one of the largest merchants to accept bitcoin this July. In particular, she noted that bitcoin lacks a strong feature for rebilling, though she hopes bitcoin customers will become repeat buyers. “We figured we’d do one-off memberships and hopefully people would love being a part of our community so much they would go back into billing settings and buy another year when their first year expires,” she said. The bitcoin community comprises mainly males, but Missy indicated these demographics did not influence her decision to start accepting digital currency as most SuicideGirls members are women. Further, Missy revealed the company hasn’t seen a significant subscriber boost from accepting bitcoin, though she did not reveal exact figures. 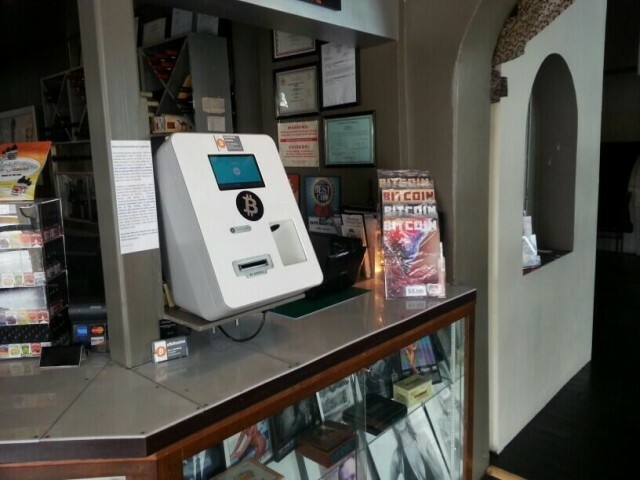 Still, a number of customers, she said, are choosing to pay with bitcoin. For example, she mentioned that roughly 5% of the new members that enroll in the community daily are choosing to pay with bitcoin. A recent legal referral in the EU may be inching the region a little closer to more unity on one small element of bitcoin taxation, but it won’t do much to help global confusion on the matter. In June, Sweden asked Europe’s highest court, the European Court of Justice (ECJ), whether cryptocurrency exchanges are liable for value-added tax on the fees that they charge for their services. The result could have far-reaching implications for tax in the region. In Europe, there is a directive on VAT that explains how it should be levied. EU directives are powerful documents, designed as high-level guides that member states can interpret when making their own laws. Cryptocurrencies are so new that few member states have worked out how to interpret the VAT rules for them. Belgium, Croatia, Cyprus, the Czech Republic, Greece, Hungary, Ireland and Italy haven’t decided whether to charge bitcoin exchanges VAT on the service that they provide. Latvia, Luxembourg, Malta, Portugal, Romania and Slovakia have no regulations on the matter either. Some other states lie at the opposite end of the spectrum, with firm rulings on the matter. The UK was among the first, effectively making bitcoin trading exempt from VAT in a ruling published in March. While exchanges and miners are off the hook, though, the UK says that VAT should be charged when goods and services are sold for bitcoin. Several states have taken an opposing view. Estonia made its own decision about VAT on profits from bitcoin exchange services, levying a 20% tax on those trading bitcoins as a service. It is also charging a 10% tax on profits from selling bitcoins. Poland has imposed a 23% VAT on bitcoin mining profits, although its position on bitcoin exchanges isn’t clear. Some states are imposing various taxes on cryptocurrency trades, but not necessarily VAT. Lithuania has said it will tax bitcoin trading as personal income at 5%. Slovenia treats mining profits as personal income. It won’t tax people selling bitcoins, but it will examine each case individually. Bulgaria wants a 10% income tax on the sale of bitcoins. Most of these decisions address a question that Sweden decided it couldn’t answer alone. In June, it asked the ECJ a question that it couldn’t decide for itself, arbitrating a dispute between the Swedish tax authority (Skatteverket), and a private defendant, David Hedqvist. The question – on the subject of Article 2 (1) of the VAT Directive, which describes what transactions should be subject to VAT – asked whether people who exchange cryptocurrency for fiat currency provide a VAT-relevant service; and if they do, whether that exchange service should be exempt from VAT. “On most banking transactions, the charges that the bank makes are exempt from VAT, so you don’t pay them,” explains Siân Jones, co-lead of the exchanges regulation and accounting working group for the UK Digital Currency Association (UKDCA), an advocacy group for digital currencies. Sweden wants to know whether this applies to the markup charged for virtual currency exchange. The ECJ could take up to two years to deliver a decision, which can then be used by Sweden in its policy making, explained European tax lawyer Estoban van Goor. The ruling could prompt other countries to change their regulations, he warned – or it could even prompt the EU to pass legislation broadly addressing VAT on cryptocurrency. It’s a potentially existential issue for European cryptocurrency exchanges, said van Goor. VAT on fees charged for exchanging bitcoins into fiat is relevant to exchanges, which make their money that way, and who are a crucial part of the emerging bitcoin economy. But VAT is also relevant to merchants, who make their money by selling goods and services for bitcoin. Many countries have been asking themselves whether those merchants should charge VAT on the sale of goods and services in exchange for bitcoin. Ireland’s finance minister has said that while it doesn’t regulate bitcoin as a currency, VAT might be chargeable on the equivalent value of goods and services exchanged for the cryptocurrency, and that such a tax would have to be invoiced in euros. In Spain, private legal opinion suggests adding VAT on invoices sent in bitcoin, and says that bitcoin should be taxed as a service. In other states, uncertainty reigns. Austria is floundering. In some countries, legal opinion suggests tax guidelines, but there appear to be no regulations enforcing it. Legal opinion in the Netherlands suggests VAT would be due on bitcoins received because of its lack of status as either money or financial product, and based on statements made by government officials. There is a third VAT question that countries must answer: should people be charged VAT when they sell their own bitcoins? Opinion is divided on the matter. Outside the EU, Norway has made its own decision about the commercial sale of bitcoins via a website. The country treats bitcoins as an asset, which renders it taxable. Because this means that bitcoin isn’t a currency in Norway, the commercial sale of bitcoins can’t be a considered a financial service, which would be VAT-exempt. Consequently, as a VAT-relevant electronic service, selling bitcoins commercially invokes a 25% VAT fee. In Central and South America, few explicit rules have been passed with regards to cryptocurrency, although Brazil’s tax authority has argued that bitcoin is a financial asset rather than a currency. It will tax people selling bitcoins – but only if the value is over 35,000 Brazilian reals (around $16,000). One of the worries about imposing VAT on the sale of bitcoin is that in some jurisdictions, it could result in a double tax for merchants dealing in cryptocurrency – once when they take bitcoins in exchange for goods and services, and again when they sell those bitcoins. Germany, for example, delighted bitcoiners when it announced that bitcoins held for over a year wouldn’t be subject to capital gains tax. But it concerned bitcoin investors and businesses when it recommended a tax on the commercial sale of bitcoin. The country, which classes bitcoin as a ‘financial instrument’ rather than a functional currency, classifies its sale as a “miscellaneous service”, which would invoke VAT. The danger is similar in some areas outside the EU. In Singapore, bitcoins are treated as products. Bitcoin investors will be fine there, because cryptocurrency is treated as capital gains for investment purposes. This means that if Singapore residents buy and hold bitcoin for an extended period, it’s tax-free, because there is no capital gains tax in Singapore. The story is different for merchants. Bitcoins are considered a means of barter when used to buy goods and services in Singapore, and therefore taxable. They’re also subject to general sales taxes when sold. This creates the potential for a double or even a triple tax, officials have said. Companies could be taxed when buying bitcoins, when selling them, and potentially when using them as a form of payment. The ruling from the ECJ could help answer a more fundamental question about bitcoin that could help countries resolve multiple issues: what is cryptocurrency? Is it a legal currency? A financial service? A commodity? While there might be an opportunity to harmonize some aspects of VAT on cryptocurrency in Europe, it will be far more difficult to achieve a single approach to other taxes, such as personal and corporate income tax and capital gains. These tax regimes are decided mostly at a national level. Broadly speaking, income taxes are calculated on any income regardless of a country’s particular rules about bitcoin, argue experts. “It is pretty clear that any transaction that otherwise gives rise to income taxes, is still taxable, regardless of the fact that it is settled in bitcoin,” said Omri Marian, an assistant professor of law at the University of Florida who wrote a paper on the use of cryptocurrencies as tax havens. However, the details of some tax applications will differ depending on how the country treats cryptocurrency. In the US, the federal government doesn’t impose VAT on anything, although national sales taxes are imposed on certain goods and services. However, at the federal level, the IRS made a March ruling categorizing bitcoin as property. For investors, this means that capital gains tax is due for investors selling bitcoin before a year is out. Exchanges may not pay VAT, but when they sell digital currency to a customer, the gross income equals the value for which the currency is sold, say lawyers. But at a state level, things are less defined. States have generally been slow to issue official guidance on bitcoin and taxes, according to Marian. He argued that it isn’t yet a major source of tax revenues and doubted where state taxes need much clarification. In Canada, not much has changed from a tax perspective since the country’s tax authority released guidance on the status of cryptocurrency in November. The Canada Revenue Agency (CRA) still taxes bitcoin as bartered items from a tax perspective, although in a separate document, it warns that profits from commodity transactions could be taxed as income. We also know of several non-EU countries that have not issued explicit rules for taxing bitcoin presently, but which are considering the issue. Israel is mulling it over; Australia is behind on tax guidance that it has already promised. Ultimately, some trading blocks may eventually establish uniform rules for some taxes as they relate to cryptocurrency, but Marian warned not to expect everyone in the world to sing from the same song sheet, on all tax issues. “Harmonization is a lot to expect for in a world where different countries subject similar transactions to different tax regimes,” he said. Regimes may tax bitcoin all they want, he added. But first, they have to understand what it is. And then, they have to understand how to follow the money, commodity, financial instrument – or whatever they decide to call it. The result, according to CEO Steve Beauregard, is a forward-thinking addition to the GoCoin platform that will target major telecoms such as T-Mobile and Verizon, and better cater to its existing cell service client, RingPlus. Merchant customers would then receive a message via email or SMS, click the attached link to open their digital currency wallet and load their accounts with funds paid in bitcion. GoCoin illustrated how its SMS billing will work in an accompanying YouTube video that shows how consumers can refill their accounts with the ‘Click to Bill’ tool. The company boasts that the entire process of adding funds to the account with bitcoin can be completed in roughly 40 seconds, a time it believes is significantly faster than any alternative. As such, Beauregard believes the feature represents not only a novel expansion of GoCoin’s services, but also a sign that the company is moving past traditional tools it believes have held back bitcoin’s utility. Beauregard described RingPlus as the ‘perfect candidate’ for the service, but noted the feature hadn’t been previously made available to any customers. GoCoin partnered with the Los Angeles-based low-cost cell phone provider in July, suggesting at the time that it had developed a unique SMS billing service for the company. Still, the CEO framed GoCoin’s latest feature as one that finds his company seeking to more broadly meet the needs of consumers as part of its larger goal of serving its merchant clients. Patrick Foot is a writer on financial markets at IG, a leading provider of online trading. In this article he examines what the current lack of volatility in the forex markets means for traders of digital currencies like bitcoin. The last 12 months have been barren for forex investors hoping for some currency movements they can base trading strategies on. Volatility has dwindled from healthy levels in mid-2013 down to 25-year lows in May and July this year. Several reasons have been put forward for what may be the cause of this dry spell, but the overriding causes appear to be the continually low interest rates set by central banks, increased geopolitical risk and return to growth from major economies (keeping risk low in other assets). Bitcoin’s nature sets it apart from such outside factors as these. A lack of a central regulator (or base in a national bank) keeps bitcoin separate from interest rate movements and economic recovery. The escalation of tension between any of Russia, America, Israel or the Middle East is unlikely to play out in bitcoin markets. That has resulted in bitcoin enjoying a starkly different 12 months to more traditional currencies, experiencing a swing worth of over $1,000 before levelling out at somewhere around the $550-$650 mark for the past few months – a comparative drop in volatility, but still unstable when compared to other currencies and markets. BTC/USD movement over the past 12 months. As such, the major movements tend to be associated with major developments in the currency itself. Bitcoin’s growth at the end of 2013 was largely down to a Senate committee ruling on its legitimacy, and dwindling in February around the disastrous fall of Mt Gox. However, there are several ways in which the lull in forex volatility and boom in bitcoin can be related. Its position outside political and economic influence certainly makes bitcoin attractive to those driven away by low interest rates in the US, UK, EU and other major economies. In that respect, bitcoin could be seen as a high-volatility commodity: useful to traders in times of low market movement elsewhere. Until some of the oft-noted fears surrounding bitcoin’s legitimacy and stability are answered, price fluctuations will be hard to predict to all but the most insightful of traders. The longer the current situation continues, however, the better for bitcoin. Traders are being forced to diversify their portfolios and risk appetites are growing as economies recover without liquid forex markets to accompany them. At the moment, the bullish sentiment in several major indices is taking the majority of investor attention and bearish news on bitcoin continues to dissuade those looking for a forex alternative. But the outlook for both of those assets could reverse entirely at any moment. An index correction has been predicted for some time; bitcoin could be one positive development away from another major move. Should that happen, the lull in forex volatility could start playing out in bitcoin in a major way. Spread betting and CFD trading may not be suitable for everyone and can result in losses that exceed your deposits, so please ensure that you fully understand the risks involved. There are plenty of fresh faces and seasoned coin networks taking the altcoin world by storm these days, offering plenty of excitement (both the good and the bad kind) for those involved. Between the market fluctuations, of course, are the interesting and, at times, one-of-a-kind threads that make the alt scene what it is. For just a taste of what’s happening around the community (as there’s never enough time to cover it all), read on to see some of the dynamics shaping alternative cryptocurrencies today. An altcoin is looking to establish what it calls a “24/7 global game of Risk”, with the block chain serving as the basis for player action during the game. Ironbankcoin is partnering with Blockchain Technology Group, a cryptocurrency technology firm that specializes in designing and managing digital currencies. Blocktech will manage the ironbankcoin network while the development team for the game handle the design and implementation of the game platform. According to the alt’s official Bitcoin Talk post, ironbankcoin will function as an ownership token for the game – the more IBC you hold, the more land you own. Yet, because the alt will be traded and exchanged in active markets, the value of that “land” is very much at play. Finally, the coin will function as an in-game currency as well. The comments above imply that the game will require cooperation and intrigue between players. While the announcement did not contain specific details about the nature of the gaming platform, the development team told CoinDesk that it will focus on kingdom management, diplomacy and economic management. Ironbankcoin is currently holding an initial coin offering (ICO), offering 50 percent of the coin’s 100 million coin supply during a seven-day pre-launch sale. According to the development team, coins will be distributed on a proportional basis depending on the amount of BTC received during the sale. SYNC is a curious entry in the lexicon of alternative cryptocurrencies, building its value proposition on a membership structure that offers several levels of potential return for investors. Several weeks ago the SYNC community made waves in the markets when it announced SYNC Assets, a portfolio of digital assets that includes domain names and prominent cryptocurrencies. For those who meet the requirements, proceeds from asset sales are distributed proportionally to eligible members. Since the SYNC Assets launch, the team has built the list of domain names it controls and has continued to push value-added features such as airline miles and discounts exclusively for SYNC holders. CoinDesk spoke with SYNC Foundation co-founder Mike Fiol, who said that the fundamental purpose of SYNC is to give individuals an entry point into crypto-investment with a vehicle that seeks greater stability compared to other available coins. Fiol explained that beyond that, the goal of the project is to give investors a way to avoid some of the problems associated with altcoin markets, including projects that turn out to be fraudulent in nature. One of the projects under development is the creation of a mobile app that will allow SYNC owners to tap a range of discounts and consumer benefits. According to Fiol, the app will enable SYNC investors to find businesses nearby that offer these benefits. Notably, inclusion in the membership program requires owning at least one SYNC, which at press time costs an average of 1.2 BTC across all exchanges. Two percent of proceeds from the Foundation’s asset and coin sales are directed to a program called SYNC Kids. This initiative devotes funds to the Spenser Somers Foundation, a non-profit organization which sponsors a Ronald McDonald House children’s charity center in Minneapolis. Looking ahead, the SYNC team recently released a new wallet and is looking to continue expanding on its existing services. Fiol hinted at upcoming releases that will expand the scope of usability for SYNC. The altcoin world owes much of its existence to the diverse community of investors, traders and Twitter pundits fueling speculation and exchange in the marketplaces. While some bring years of experience in traditional financial and asset markets to the crypto realm, there are others who enter the environment with little idea of where to begin. Ivyleaguecoin, a new altcoin initiative, aims to provide a vehicle for novice investors to gain insights into the nature of buying, selling and trading. CoinDesk spoke with the ivyleaguecoin organizer, who said that the goal is to provide a platform for people to gain perspective on the various aspects of trading on a level that is comfortable for them. The planned courses will be structured in several tiers and include resource documents, live webinars and one-on-one instruction. The team behind ivyleaguecoin has yet to reveal an initial launch date, but with a planned two week-long ICO period, the program may not go live until next month at the earliest. Here on All Things Alt, we’ve covered our fair share of bizarrely branded coins. For better or for worse, some development teams choose potentially copyright-protected properties and attempt to build cryptocurrency network. Lemurcoin continues this proud tradition by using popular characters from the DreamWorks Animation film series Madagascar, including the character “King Coolian” who is embossed on the coin’s official logo. The film collection focuses on a group of animals who find themselves thrown into wacky adventures around the globe, and the broader franchise itself has generated hundreds of millions of dollars in global revenue. For this appraoch, lemurcoin has won this week’s Strange Alt of the Week award. As an altcoin itself, lemurcoin is pitched as a low-supply investment opportunity tied to, according to its official Bitcoin Talk post, the number of lemurs alive in the world. The coin is expected to fully launch on 17th August. CoinDesk reached out to DreamWorks for comment but did not receive an immediate response.